New Year in Japan is one of the biggest holidays observed usually over several days involving visits to family, friends and shrines or temples. Hatsumode (The first visit to a shrine in the new year) is very popular and for many may be their only visit of the year. People waiting in line to pray at Nominoue Shrine in Okinawa, Japan on New Year's day. 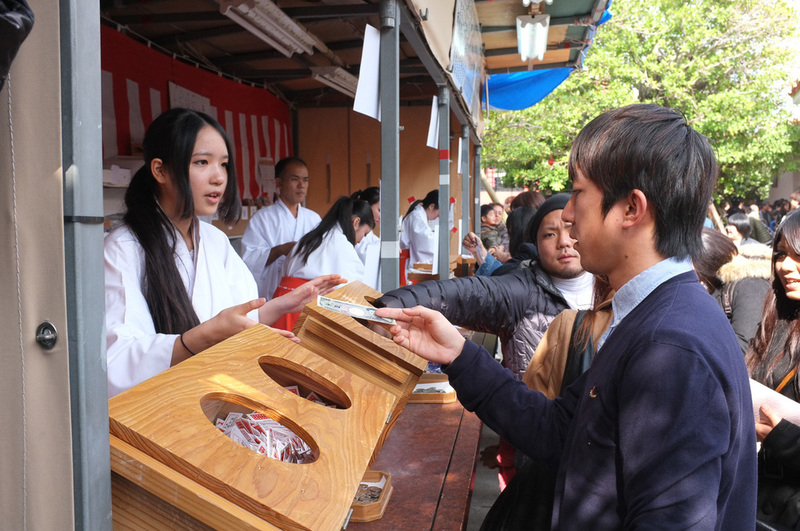 While at the shrine it's tradition to purchase Omikuji (Fortune-telling papers) said to predict how ones year will unfold. If the fortune is bad the paper is tied to a tree or line at the shrine in hope that bad fortune will stay there. Some however also believe in leaving the fortune papers even if it is good. A man purchases Omikuji (Fortune-telling papers) at a local shrine in Okinawa, Japan. 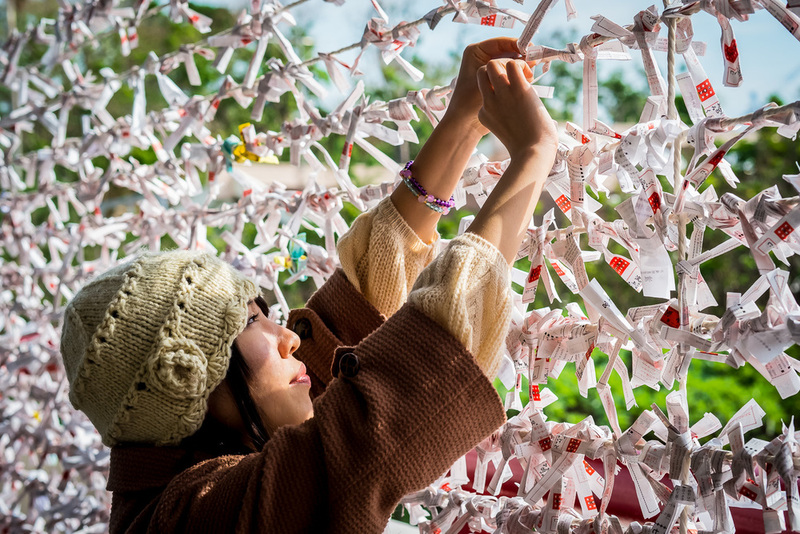 A woman ties her Omikuji onto a line at a shrine in Okinawa, Japan. Omikuji are traditional Fortune-telling papers purchased at shrines in Japan during Hatsumode (A person's first shrine visit of the year).